When you think of supermodels like Kate Moss, a slim frame and light body definitely make an attractive package. LG has released its latest LCD TV panels recently. Holding the record as the world’s thinnest LCDs, the TV panels measure 42-inch and 47-inch respectively with a mere thickness of 5.9 mm. Portability and elegance aside, the LCDs also display high quality pictures. They have superior color gamuts and also incorporate 120Hz technology to reduce motion blur. While being unconventionally light at 6.1 and 7.3 kg respectively, the LG displays nevertheless have to bow to JVC’s magnetically mounted former champ as the lightest LCD in the world at 5 kg. 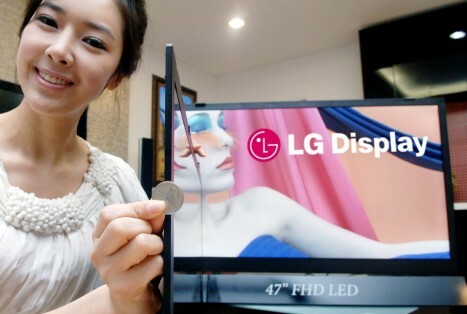 LG’s LCDs are also touted to consume less power. Power consumption is 110W for the 42-inch model and 130W for the 47-inch.